Once upon a time in a far away land there lived a sweet and lovely girl named Amlev. Amlev dreamed of providing a good life for her and her children. One day after many years of experiencing hurt, an opportunity arose and Amlev took it! She ran away to another land and began a journey that provided many great experiences. She travelled the world. Explored beautiful beaches, met wonderful people. Some famous and some not so much. She experienced great restaurants, saw famous music bands and met some of the members of the band too. Amlev ran to Walgreens and bought a box of Calgon in the hopes it would “take her away”. She jumped in the tub. Closed her eyes and said “Calgon take me away!” When she opened her eyes she was still in that same awful dream that was nothing short of a nightmare. At that point she knew this required emergency measures. She needed some red shoes. She had lost everything but thank goodness, she hadn’t lost her sense of style too! 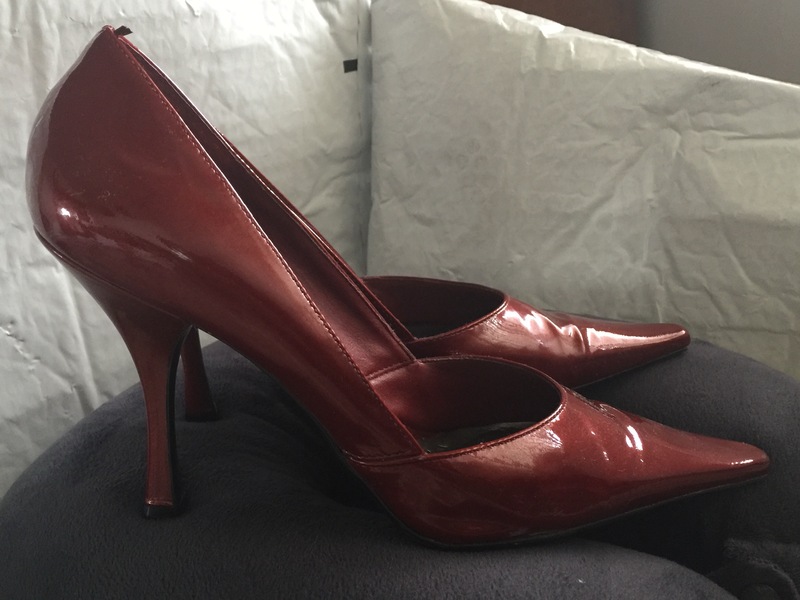 She knew “when looking for the perfect red shoe…..call Jimmy Choo.” She contacted Jimmy. She said “Jimmy! I need the perfect shoe! I’m in the wrong dream and I have to get out!” Jimmy replied, “I’ll send you the perfect shoe. When you receive them put them on. Tap your heels together and say “I want to go home!” When you do this, you will find yourself in the perfect dream surrounded by the people you love, working your dream job, relaxing on a tropical beach as all of your dreams will be coming true!” Amlev placed the order and patiently anticipated the arrival of the “miracle” shoe. She knew that upon their arrival she would finally find herself in the perfect dream providing for herself and children just like she set herself out to do! Know your courage. Put on your red shoes and you can go anywhere! This entry was tagged be a survivor, fairytale, i want to go home, jimmy choo, overcoming challenges, red shoe, strong women rock, wizard of oz. Bookmark the permalink.